The ANS Kata-Gi SG is custom-made wooden pedicure spa that features luxurious square glass sink bowl. 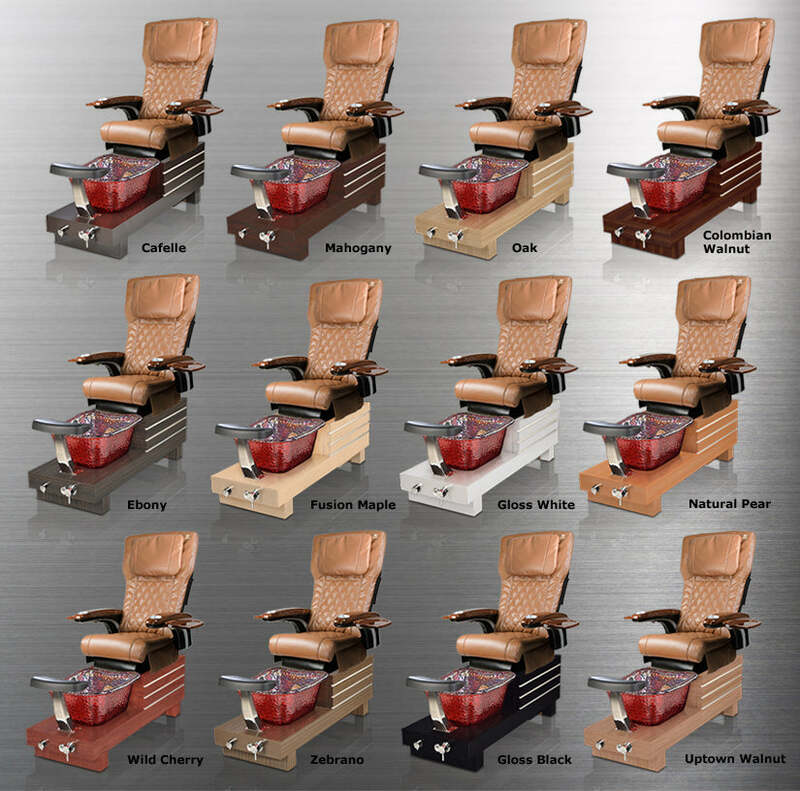 The stylish Kata-Gi SG features an adjustable footrest, polished chrome hardware, stainless steel shower hose, built-in LED color therapy light, FREE matching pedicure stool. 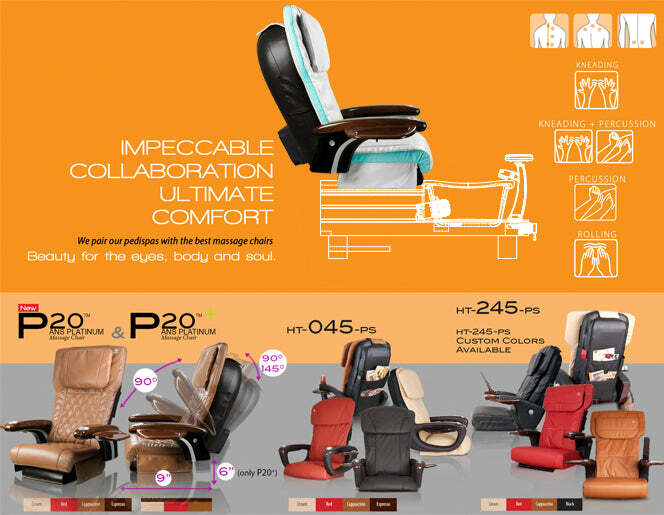 The ANS Kata-Gi SG also includes a premium ANS massage chair of your choice. The ANS Kata-Gi SG is custom-made and custom-built with your choice of custom wood-laminate colors. The ANS Kata-Gi SG includes a sohpisiticated square glass bowl. Our beautiful glass bowls are ¾ inch thick and provide eye-catching displays of color when used with the built-in LED color therapy lights that are included with each spa. Square Glass Bowls are available in four beautiful color options. 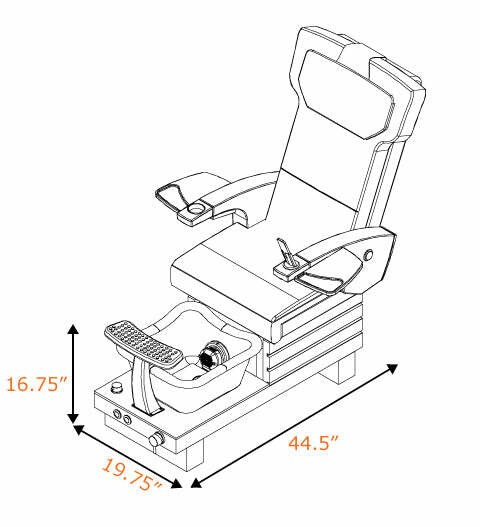 • Adjustable fiberglass waterproof footrest. • Pull out multi-function shower head. • Strong pulse ANS Liner jet. • Embedded color therapy LED light. • ANS Liner Jet Technology. • ETL and CSA approved. Kit Includes: Versatray, Ipad Holder, Hi-Power LED UV Light, Midi LED UV Light, 30 Geluv Gel Polishes and 1 Geluv Top and Base Coat.